A reconsideration of the "day of rest." Observe the sabbath day and hold it sacred, as the Lord your God commanded you. You have six days to toil and sweat and struggle. But the seventh day is a sabbatical dedicated to the Lord your God; you are not to do any work — not you nor any member of your family, nor any of those who work for you, including the animals. This applies to those who don’t worship the Lord, too. That way everyone will have a day of rest just as you do. Remember that you were a slave in Egypt, and the Lord your God brought you out of there into freedom; that’s why the Lord your God insists that you observe the sabbath day. Take a whole day off every week? Oh, come on! There is always something demanding our attention and our time; jobs, school, homework, chores, family, friends. Surely the Lord doesn’t expect us to put any of those important people and tasks on hold — and, in many cases, we simply can’t. The baby is crying, the dog just threw up on the living room rug, the bathroom sink is leaking, there’s a test on Monday, we’re out of milk…. We need a few hours just to get caught up, never mind a whole day of rest; we can hardly find a minute to take a breath! But the truth, for most of us, is that we are already “caught up:” snagged, enmeshed, ensnared in the thousand and one things that distract us; the goals we have set, the responsibilities we have assumed; the mountains of demands we construct for ourselves. How many of these must — or could — be accomplished today? And how much of our time and energy is wasted in worrying about them? Further, are we not sometimes complicit in creating these distractions, these not-so-urgent demands; having grown accustomed to the constant low-level buzz of anxiety, the pressure to do and accomplish and achieve? Are we perhaps secretly proud of “how much we have to do”? And, as long as we are busy, we remain caught up, wrapped up, unaware; we have no time to think, to consider, to be still. In the midst of our hectic lives we have no time to hear a Voice other than the one in our head that pushes us to do; that drives us incessantly, goading us, urging us on with its litany of “oughts” and “shoulds” and “musts”: the tyrant in our brain that never gives us a moment’s respite. It’s almost unheard of in our culture, the practice of a day of rest. Even rarer is the kind of Sabbath that Moses proclaimed to the people of Israel: a day focused on the Lord God as the Bringer of Freedom. We are called to be a free people. That fact is so important that God insisted that we take one day out of every seven to remember it. We were freed from slavery and servitude; created “little lower than angels, and crowned with glory and honor,” nothing should distract or deter us from living fully into our wondrous divine nature. We must not allow faulty beliefs or false gods to co-opt, distort, or destroy our power and potential and so return us to servitude. Unfortunately it isn’t always easy to remain free, even though there is no Pharaoh to fear, no prison or compound to flee. Ropes or chains or bars are not necessary when we’re enslaved by habit and tedium. We can become so entangled in what we call “life,” that we can forget what it means to live. We can even forget to breathe! There can be no freedom without understanding. But beware: understanding is not the same as knowledge. Facts are important, experience is useful, but understanding is essential. Understanding is shaped by Wisdom: a grace of the Spirit we invite into our lives through prayer and reflection. Understanding is insight and enlightenment, a sense of perspective, a realization of what Ultimately Matters. We may, indeed, be on the right path and ought to courageously move ahead. 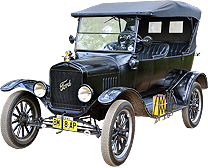 Or we may be going in entirely the wrong direction, or perhaps simply need to slow down and take account of the lay of the land. But if we do not stop and be still and listen, if we plunge mindlessly forward, we will remain caught up in our own will and imaginings; trapped in pointless, perhaps destructive, patterns; or ensnared in the devices and desires of others. The observance of the Sabbath is not merely the ceasing of labor, and of compassion shown to other beings and creatures that labor. It is an opportunity, an invitation from God to sit down for a good, old-fashioned conversation — with us doing most of the listening! It is a time to breathe, to reflect, to consider; to open ourselves and our hearts to the Voice that comforts and encourages and often challenges us. It is a call to celebrate our freedom, to consider how we make use of our freedom, and to be mindful of how we may (perhaps unthinkingly) surrender our freedom. So let us go forth, remembering who we are and Whose we are: remembering our divine nature, remembering God’s commitment to our freedom, and remembering to make use of it. take time to converse with God; be still and cease all busy-ness. 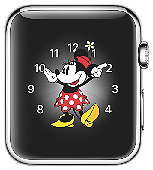 Apple Watch, Minnie Mouse face, © 2018 Apple Inc. All rights reserved. Related Pages: When God is Silent, Praise and Remember, About Rev. Deb. Or go: Home.